India accounts for more than 18 percent of the global human population but has only 4 percent of the global renewable water resources. As per the record of the latest census, 1.34 billion is the population of India and by the year 2050, the population is expected to be at around 1.64 billion. The annual per capita availability of the renewable freshwater, which was around 6042 cubic meters in 1947, is expected to fall below 1667 cubic meters by the year 2020. Gross per capita water availability which was around 1820 cubic metres/year in the year 2001 will decline to value as low as 1140 cubic metres/year by 2050. Thus, when compared to 1947, the country is going to face almost 5 times decline in per capita water availability by 2050. By the end of the 21st century, given estimated rise in population size, the per capita availability of water is likely to plummet below 1000 cubic meters, a condition designated as water scarcity. The production of food grains which was about 208 million tons in 1999-2000 will have to be raised to around 350 million tons by the year 2025. Around the year 2050 the total requirement of water for diverse activities has been assessed to be around 1450 km3/year. However, current utilizable water resource potential, through conventional development strategies, is estimated to be just at 1122 km3/year. This value is significantly less than the water requirement scenario in 2050. To bridge this anticipated deficit, there is an urgent need to increase water availability. 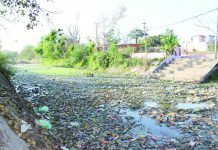 Now coming to our own Jammu , modernization has taken its toll here also as every pond, small water bodies have been initially filled up with ‘malba’ and then encroached upon either by private parties or by Government agencies. 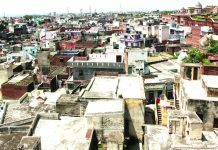 Localities like Bantalab, Rani Talab, Talab Khatika, TilloTalab, Arorian di Chappri to name a few have been named after ponds, but apparently ‘talabs’ have vanished long ago. Once considered to be an important part of life in both cities and rural areas, traditional ‘talabs’ (ponds) in different parts of Jammu region have eventually vanished by the rapid urbanization in last two decades. 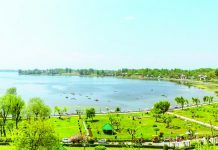 There have been a number of historical ponds in and around the city, known for their impact on the day to day life of the Jammu people but the poor management of water bodies; ever increasing population and growing demand for human settlements have resulted in the premature death of these precious natural resources. These ponds once constituted an important water buffer, particularly during summers. Notwithstanding the general unhygienic quality of water, ponds have been the main source of drinking water for the villagers and the cattle especially in the Kandi areas of the region. Till today in many Jammu villages, water is supplied only two or three days in a week and as such in summers, they are forced to switch over to the stagnant water of the ponds due to inadequate supply of tap water. As the ponds in the country side too have vanished and those existing are in a nonexistent state. The pathetic neglect by the authorities has done the inevitable damage and nobody is foreseeing the danger of water scarcity in coming years. Protecting existing ponds and developing new ones should be top priority of the Government. 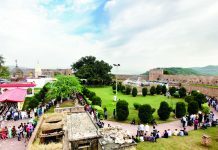 Hundreds of natural ponds and ditches that were once the pristine glory of Jammu in its rural as well as urban settings today find just relevance in the ancient chapters of Jammu’s history. 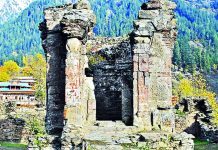 Neither an attempt has been mooted from any quarter to take up the issue of revisiting the ‘dying heritage’ of Jammu’s splendor which once upona time used to be the only source of water for quenching thirst and for all allied purposes including the cooking. 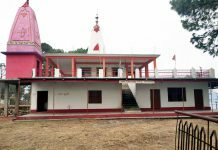 Rahya and Suchani are the twin villages on Jammu- Samba highway which hold the distinction of housing nearly one dozen ponds and the essence of these ponds is that most of these ponds are maintained by the villagers only, with no Government support coming their way. Rani Ka Talab in the heart of the city that used to be the main source of water for the urban Jammu but today it is park, which obviously has no great attraction for anybody except the booze mongers with litter in the park which stinks. 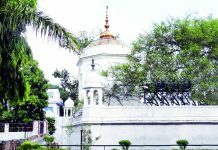 Arorian-di-Chappri , another significant point near New Plot area towards Janipur was a central attraction for Jammuites since long before it vanished into oblivion. A deep and shallow water body that existed where today Jammu Civil Secretariat stands had been the stopover point for the Royale Legacy of Maharajas and their queens but it is now a sand and stone building. No Government attention ever went this side as to why such a shallow pond was raised to ground and if any other in its lieu was dug somewhere else. Household water supply system is in total disarray, with the temperature rising to almost 45 degrees and power as usual playing hide and seek helpless public is left on its own to arrange water at its own cost. 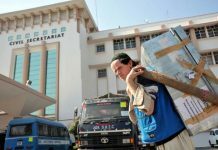 Every water supply scheme in Jammu is either tube well lift or Tawi water lift which obviously requires power and though it’s claimed to being provided with special uninterrupted power but with every natural calamity it fails and with no backup power supply whole water supply system comes to a halt in the peak summer. With so much focus on solar power, why solar powered pumping stations have not been installed is any body’s guess work. Either those at the helm of affairs don’t have a vision or some vested interests stop them from preparing the plan. Chenab Water Supply Scheme is one of the many schemes of our State that has run into financial difficulties from day one and as a result has been either abandoned fully or left half way or in the state of start and stop. Pertinently, the Chenab water diversion plan was first proposed in the late 1980s. It, however, did not find priority of successive Governments and it was during the tenure of Congress-PDP Government in 2006-07 that a survey was conducted and detailed project report was submitted. 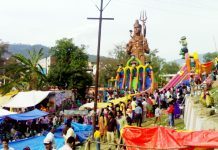 Project was proposed to be implemented in two phases, 100 cusecs of water from the Chenab is to be diverted at the Ranjan lift station at Akhnoor, then water is to be treated in filtration plants on the banks of the river and then carried through huge pipes till Muthi, some 25 km from Akhnoor and 8 km from Jammu city, for distribution. Similarly ,around 1,900 water supply schemes had been started by the successive Governments in the state; 173 were allotted for Baramulla, Anantnag 156, Budgam 111, Kupwara 109, Kulgam 101, Shopian 90, Srinagar 98, Bandipora 89, Ganderbal 73, 294 for Jammu district, 168 for Rajouri, Poonch 89, Kishtwar 99, Kathua and Samba 72 each,149 schemes Leh , Ladakh. However, work has been halted on at least 1600 schemes due to lack of funds. 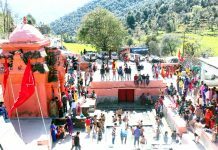 With inordinate delays, yes and no announcements, public at large are now skeptical of any project announced as despite repeated assurances by successive Governments, authorities on ground have failed to act on the matter. With ground water depleting fast, no rain harvesting proposal applicable in the state, it seems government is waiting for dooms day to wake up from slumber and act. We have already seen the worse similar situation at Shimla and with rains nowhere in sight; water scarcity is going to be another battle of Waterloo for BJP-PDP coalition. It’s still not too late, with plenty of funds and schemes available it’s just question of putting some extra hard work in DPRs , get the sanctions from Central Government and start implementing the action plans .Well planned work in time is half done. Bijli and Paani are two things which can make and break governments and the sooner those in power understand this better it will be for all.